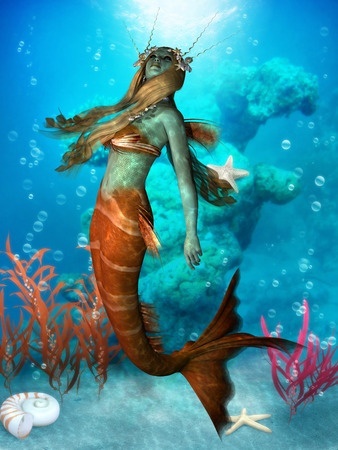 On May 27, 2012, Discovery’s Animal Planet channel aired Mermaids: The Body Found. The documentary featured video of a mermaid sighting in the Greenland Sea and an exclusive interview with former NOAA (National Oceanic and Atmospheric Administration) scientist Dr. Paul Robertson. The show followed a scientific team’s investigative efforts to uncover the source behind mysterious underwater recordings. It opened with video footage of a mermaid perched on a rock. Later in the program, a webbed hand touches the observation window of a submersible craft manned by a team of deep sea divers. As the creature swims away, the divers catch glimpses of an alien-like face. The program attracted the network’s biggest audience in its history: 1.9 million viewers. A sequel broadcast, Mermaids: The New Evidence, aired May 26, 2013 and reached a record 3.6 million viewers. Its popularity drove the network to the number one slot in the key demographic among 25-to-54-year-olds. After the broadcast, over 1.5 million streams of mermaid-related video surfaced online. I missed this Joanne, but I thought the concept of mermaids came from sailors seeing manatees for the first time (were they delusional?). Interesting post! Hi Noelle, The concept of mermaids has been around for centuries. So many stories can be found in Greek mythology. The Discovery Network decided to have some fun with mermaids. From what I’ve read, many viewers did not appreciate the hoaxes.